Nearly nine years ago my father learned that a brother of Lafcadio Hearn was living on a farm near our home. He learned this from our family physician, who, while making a call in the family of James D. Hearn, had noticed certain Latin books on the sitting-room table; and, upon asking about them, was told that Mr. Hearn had been educated in an English boarding school. 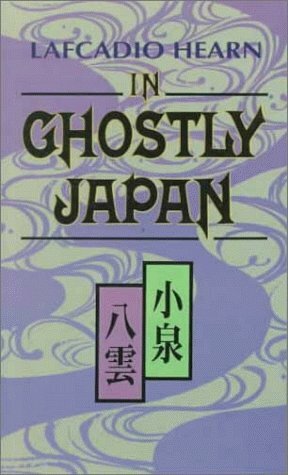 Dr. Wheeler had seen a copy of In Ghostly Japan, and asked my father about the author. Father was immediately interested, having an admiration for the work of Lafcadio Hearn, and knowing of his detached life and lonely years in this country. Later, he himself talked with James Hearn regarding his life and his correspondence with his brother; and I remember his advising me to drive out to the farm and read the letters. One fall afternoon of last year, while running through a case of books, I came across a volume containing 'The Dream of a Summer Day.' The blue and gray of the sky, the exquisite description of age-old custom, the music of the phrasing, impressed me deeply. I resolved to get that information of the writer, which I knew was close at hand. It was not difficult to find the farm of James Hearn. A boy by the wayside gave me the direction, and soon, at a crossroads, I looked out over his land. Swinging back to the corner, I looked across the field of cut corn. I could not see him at first; but, following with my eye to the end of a row of high shocks, I found a figure in blue overalls, setting the bundles together. As I drew nearer, a slim man of medium height stepped from behind the shock and looked toward me, one hand shading his eyes from the westering sun. Those who know the earlier pictures of Lafcadio Hearn would find strong resemblance in the brother. The expression about the eyes is quite similar, that of very nearsighted people. The profile of the brother is delicate and well modeled, with a sharply defined nose and expressive mouth. The face, I should say, is broader across the temples, and has less of a taper to the chin than that of the older brother. On the whole, it is a more capable and decisive face; certainly a happier one. He told me willingly of his family, starting with his father's romance in the Ionian Islands, which is elsewhere related. I shall set down his remarks approximately as I heard them. 'When I was about a year old, father brought us - my mother, brother, and myself - back to Cavin', a military station near Dublin. My earliest recollection is of the barracks there - carrying up a small pail of water to the soldiers. I must have been about three years old. Father was called to service in India. Lafcadio was taken by an aunt, and I went off to a large boarding school. Before that time mother and father were divorced, and she went back to Greece. There was an old Scotchman by the name of Dr. Stewart, who ran a school in Alton, Hampshire, England. I lived there with him till I was sixteen years old. Mother went away so early that I don't recall seeing her. 'When I left school, I was foolish enough to come out to America. Maybe if I had stayed there I'd have had advantages for more education. I came to New York at sixteen, and went to Wisconsin, to stay with some friends, Henry and Tom Turvill. They had quite a market-gardening business at Madison, - across the lake from the Capital, - and I worked there with them. It was 1871 when I came over, and I struck Chicago during the Great Fire lost part of my luggage there, and was a little afraid that I 'd get burned up. I was on the northwest side of the city. The major part of the fire was across the river. 'After being in Wisconsin nearly five years, - I was now twenty-five, - I went back to England. I intended to go out to India to enter a tea business. Dr. Stewart had a son who was a civil engineer for a tea company, and I expected to go in with him. But young Stewart got another idea - for me to return to the United States and get knowledge of tobacco growing in Connecticut before I went to India. So I came over again and stayed with a Mr. Smith at Poquonock. I had worked for him several years when I heard that young Stewart had died; so I gave up the tobacco scheme and came west. 'When I was twenty-four years old I went into the milling business at Gibsonburg, Ohio. I had some money from home, and I bought a one-third interest in the mill. The flour dust gave me miller's asthma. Then I bought a small farm nearby, and lived there for several years. I had married when I began farming. We had bad luck. It was a poor piece of land and I couldn't meet my payments. It is interesting to note that, during this period, Lafcadio Hearn was writing for a newspaper in Cincinnati, only a few hours' distance from him, but that neither had Knowledge of the other. 'Then I rented farms for a number of years; but that was unsatisfactory. It was about this time that I saw my brother's name in a Cleveland newspaper. I wrote him and had to send him a photograph of father to convince him of our relationship. He promised to visit me, but never came, and went to Japan soon afterward. We stood looking across the golden fields. At our back was a fenced wood lot of tall elms and oaks. Across the fields, in the rich afternoon light, I could see one of his sons [Lloyd] ploughing with a great white team, to which he called occasionally [Frank and Fry]. The farm lay there, very beautiful. He looked away quietly for a moment. We walked on toward the house, through several gates, and came out in the farmyard. His wife was throwing feed to a crowding flock of hens. Two of the children sat on the well curb, eyeing me curiously. From an old cabinet in the sitting room he brought out a packet of letters written on yellow paper. "This is the only acquaintance I ever had with Lafcadio. You can get the facts from these if you care to. The letters were mostly undated, but I have arranged them as they were written - in the winter of 1890." The first note was in reply to James D. Hearn's letter claiming relationship. It indicates the suspicion in which Lafcadio Hearn held most people at this time - a trait to become more emphasized in later years. It is unsigned. What was your mother's name prior to her marriage? Of what place was she a native? By whom and where were you brought up? What was the name and profession of the person who performed that office? Where is that person? Have you any particular bodily marks, the simple mention of which could strengthen your claim? Have you photographs of your father, mother, and yourself? Address, if you think proper, care of Dr. Geo. M. Gould, 119 S. 17th St., Philadelphia, Pa.
Do not feel in the least bit annoyed about my questions. I have had letters from other persons claiming to be what you seem in good faith to be - whose sole object was to secure an autograph. That is my father's photograph - I had one precisely simular. I like your photograph very much. Had you not an uncle? Who took care of you? Where is he? Please tell me something about him. You ought to have, on the calf of each leg, three lines - Eis ro ovoua rou IIarpos kai rou Tiov, etc. - made by our mother. Perhaps you have them without knowing it. Please tell me something about yourself - all you have time to tell me. I want to know all you have been doing, and are going to do. Moreover, I must see you, and that before very long, as I shall be leaving the United States shortly. I want to get the photograph of father copied. You can get that done for me at a later day. As for a photograph of mother, if there is any way to obtain it at any condition, I must try to get it. Still, it strikes me as strange that the Doctor should have her photograph and know nothing of her history or name. Did you not know that there were three of us? The first died a child. Why did you never try to communicate with me before? I had friends in Paris and elsewhere trying to get upon my brother's track. You were misinformed as to the rich aunt, or rather grandaunt educating your brother for the priesthood. He had the extreme misfortune to pass some years in Catholic colleges, where the educational system chiefly consists in keeping the pupils as ignorant as possible. He is not even a Catholic. The grand aunt in question did not leave her property to the Church, but was the victim of a Jesuitical adventurer, who bankrupted in London after risking her fortune in business. His name was Henry Molyneux. What are you doing? I heard that my brother had been brought up as a Civil engineer. Have you any profession? And, of all places in the world, how came you to drift to Bradner, Ohio? Are you married? Please write me a good long letter; tell me all about yourself. I have been hunting after you a good deal more energetically than you seem to have been looking after me. I think I should be very fond of my brother, once quite sure about him. 'On second thought.' I will return the photos in a few days you will kindly allow me to have them long enough to get father's picture copied. If you feel at all uneasy about it, however, let me know and I will return at once. I am writing in great haste, overwhelmed with work. 'Her blood will bear him through everything, if he can keep his strength.' For I thought of you always as my double: a highly complex nervous organization, with her vital force. Now I would imagine you stronger than I, for you have done much beyond my power to attempt. And you do not remember that dark and beautiful face, with large brown eyes like a wild deer's, that used to bend above your cradle? You do not remember the voice which told you each night to cross your fingers after the old Greek orthodox fashion and utter the words - Ets ro sEopa rot' flarpos tcai roD T'ou 'cat' roD 'Ay'ou flvev'paros - 'In the name of the Father, and of the Son, and of the Holy Ghost!' She made, or had made, three little wounds upon you when a baby, to place you according to her childish faith under the protection of those three powers, but especially that of Him for whom alone the nineteenth century still feels some reverence, the Lord and Giver of Life. And you know nothing about her? It is very strange. Perhaps there is much I do not know, But I know that mother was a Cerigote, belonging to one of the best families of the island Cerigo - the antique Cythera. English regiments were stationed there including the 76th about '57 - '58. My father was attacked by mother's brother, terribly stabbed, and left for dead. He recovered, and eloped with mother when the regiment was ordered away. You were born in Cephalonia; I and another brother in Santa Maura - where the other was buried, I think. We were all very dark as children, very passionate, very odd-looking, and wore gold rings in our ears. Have you not got the marks yet? I do not know much about subsequent events. I remember my mother's interpreter - a Miss Butcher; I remember my father taking me up on horseback when coming into town with his regiment. I remember being at a dinner with a number of men in red coats and striped trousers, and crawling about under the table and pinching their legs. Then I remember this: - One day my father came to my aunt's house to take me out for a walk. He took me into some quiet street, where the houses were very high - with long flights of steps going up to the front door. Then a lady came down to meet us, all white-robed, with very bright hair - quite slender. I thought her beautiful as an angel, perhaps partly because she kissed me and petted me, and gave me a beautiful book and a toy gun. When we left the house, my father told me not to tell my aunt where we had been. But my aunt found it out, and took away the book and the gun, and said that was a very wicked woman and my father a very wicked man. She was the woman who after-ward became my father's second wife and died in India. Later on, when I was told by my aunt, or grand aunt, that my father was very wicked, that she had disinherited him because he had got a divorce from my mother without just cause, and that she had forced him to pay back all the money she had advanced him, she said that he had got his divorce through a technicality, which decided for him that the marriage, though legal abroad in the Orient, was not legal according to English law. She told me that my mother had married the lawyer who took her part and who spoke Romaic, and went to Smyrna. I can remember seeing father only four times - no, five. He never caressed me; I always felt afraid of him, He was rather taciturn, I think. The one kind act I remember on his part was a long letter written to me from India, - all about serpents and tigers and elephants, - printed in Roman letters with a pen, so that I could read it easily. What you tell me about yourself is very much myself. I suspect, however, that I am almost an exaggeration of you, - more a slave of my dislikes and likes, still more easily repelled by a flaw. The longer I live, the more self-control I obtain; but it comes rather through the pursuance of a policy than through any diminution in the force of impulses. I wish I could hope to see Gracie [daughter of James D. Hearn] grow up. But now, by the time she is twenty, I shall be nearly sixty and you about fifty-six! 149 W. 10th St., N.Y. I was delighted to receive the photograph of your wife and baby. I like your wife's face: full of serious kindness and gentleness; but the baby! I can scarcely believe it is your baby: I could almost swear it was my baby! It has the eyes, sure enough - you will have to be very careful, I fear, with Miss Gracie's eyes. Do not let her stoop over school-desks, when she is old enough to be taught - or stoop at all, for reading and writing. If I am ever a father, I will not let my child go to school before seventeen or eighteen - before being old enough to go to a university or practical institution of some sort. The best education is that given at home, and many of our greatest men are, like Herbert Spencer, strangers to school-life. We However, we shall have lots of time to chat and plan over this. Only, above all things, do not forget never to let the child strain her eyes over books. If she be nearsighted, teach her to lift what she wishes to look at as close as she pleases, never to bend down to it. With a boy, it is dangerous enough, but in the case of a girl, eye strain is usually accompanied with other troubles. I hope, however, all this is unnecessary, and that Gracie is not nearsighted. If she has my disposition, I can't imagine growing up in the country - after reaching girlhood; but, you see, I will keep on talking about the future! - Really, I think that is my baby! It has my eyes anyhow - mother's eyes almost. (But later on they may become mother's eyes in fact.) Singular force in that Oriental blood, reproducing its characteristics so strongly in the third generation, and dominating such elements as are mingled with it! - She has another characteristic, too, which we have - head all above the ears! I think there is something wonderful waiting to unfold within that little head of hers: she looks smarter than either of us. There is a psycho-physical theft somewhere: I think you must have stolen some of my soul, to make Gracie with. She certainly looks more like me than you. I am going to ask you which is her father, when I can get up there to see you. I sent you another photo of myself taken three years ago - but more like me than the new one. If you observe it carefully, you will see I have lost one eye and am very near sighted with the remaining one. I stopped writing here three days ago, having caught such a cold on the lungs that I was placed completely hors de combat. You see this is the first cold weather I have felt for nearly fourteen years, and the change is quite rude for me. But I shall be away from here March 6th. With regard to what you say about mother's treatment of us - I must tell you that, even as a child, I used to wonder at it. But my old grand aunt and others - the old family servants especially - would say to me: 'Don't believe anything unkind about your mother; she loved you all as much as any mother could do; she could not help herself.' Afterward I heard that the man whom she married had made this condition with her: 'I will go with you anywhere; I will give up everything for you; but I will not bring up the children of that man. Mother was in a strange country, without means, unable to speak a word of English; then again, the boys seemed to be well provided for. I was to be grandaunt's heir and she was quite rich; my father had made some promises regarding you. As for her never making inquiries afterward, I doubt it I suspect she was always informed of our whereabouts and condition up to at least twenty years ago. But even if mother should not have afterward exhibited such interest, as we should wish regarding us, I could not blame her. She must have hated father's memory. Neither could I blame her, or cease to love her, were I to hear she had committed any fault. Her circumstances were very peculiar and cruel, and her nature probably intensely confiding and impulsive, with him. We heard nothing of her from 185s. She also told me that my mother had named me after the place of my birth Leucadia in Santa Maura; the name, Lafcadio, in modern Greek, being nearly so pronounced. Spaniards and French. people readily and naturally change it, however, into Lafcadio, by which I have been known in the West Indies and elsewhere. To give you details of my life would be tedious and uninteresting on paper. It has been a very varied, blundering, foolish existence sometimes rather shocking than creditable. A nervous breakdown before I was thirty years of age turned my attention to the difficult art of taking care of one's self. Before that I used always to be pretty reckless. I have no wife or children; had various temporary relationships with women, in which I was the dupe until I succeeded in obtaining the wisdom of experience. In short, my life has been decidedly rough. I won my way into something higher and better by patient hard work. I was for seventeen years a journalist; I am now a littérateur by occupation. The outward events of a brother's life have infinitely less interest, how-ever, than those which belong to that. mysterious ghostly part of us, the nature of which will probably ever remain a mystery. When I saw your photograph, I felt all my blood stir, and I thought, 'Here is this unknown being in whom the soul of my mother lives, who must have known the same strange impulses, the same longings, the same resolves, as I! Will he tell me of them?' There was another Self; would that Self interpret This? For This has always been mysterious. Were I to use the word 'soul' in its limited and superannuated sense, as the spirit of an individual instead of the ghost of a race, I should say it had always seemed to me as if I had two souls, each pulling in different ways One of these represented the spirit of mutiny, impatience of all restraint, hatred of all control, weariness of everything methodical and regular, impulses To love or hate without a thought of consequences. The other represented pride and persistence; it had little power to use the reins before I was thirty. Then I look on the portrait of father (I lost mine about '72 or '78; I thank you very much for giving me yours), with that rigid, grim face and steel-steady eyes, I cannot feel much in my life in common with his. I suspect I do not love him. I could not love his Indian children by that woman with the bright hair who kissed me as a boy. The soul in me is not of him. Whatever, there is of good in me and, I believe, whatever there is of deeper good in yourself came from that dark race soul of which we know so little. My love of right, my hate of wrong, my admiration for what is beautiful or true, my capacity for faith in man or woman, my sensitiveness to artistic things, which gives me whatever little success I have even that language power whose physical sign is in the large eyes of both of us - came from Her. What if there is a 'skeleton in our closet'? Did not he make it? I think only of her. I have thought only of her, and of you, as imaging her possibly, all my life - rarely of him. It is the mother who makes us, makes at least all that makes the nobler man; not his strength or powers of calculation, but his heart and power to love. And I would rather have her portrait than a fortune. You know nothing of me, of course, but when you do, you will laugh at your own suggestion, that I might wish my brother to be an aristocrat. I only trust he is not much more different to external appearances and to social formalities than I am; for I have the reputation of being an outrageous person. (I have been showing your photo to everyone and proclaiming my good fortune.) Today I cannot write about our meeting satisfactorily, but will do so when I hear from you again. Suppose could go to Toledo; I would write you in advance, and telegraph you from there? But I will write again about this. I will return you father's picture next week. In February I leave for the other side of the world, - Japan and China, - but we are keeping the matter quiet for literary reasons. I would like to know all about yourself, physically - height. weight, strength (I think you are four years younger than I). And all about your wife and the little one. Has she great big eyes like mother's? Best love to you and yours, my dear brother - Heart's love to you for mother's sake. Thanks for kindest letter and enclosures. I received them only on the eve of my departure, as I start tomorrow for Japan, and so write in haste. I will be glad to please you, by writing to Lilla as soon as I. can, or in any other way possible. It pains me that I could not see you. I am, however, and must be, for several years more, a slave of contracts and opportunities. I hope to achieve independence in the future, but at present I have to obey the will of others to some extent, in order to achieve success. Be sure the first visit I make on my return will be to you. You will write me from time to time as soon as I get settled. It was a mistake to suppose my name 'assumed.' It is the name my mother gave me. Patricio I dropped from the time of my arrival in this country. I think that the will left by my aunt assured me some money, which those rascals could be made to pay if I had means to make the fight for it. However, just now that is impossible. I do not care so much about the money; but if I can make it uncomfortable for the Molyneux people some day, I certainly shall; and if there is any money as a result, be glad to share it with you. Best love to you, and your wife and our baby. Will send address from Yokohama. This letter marks the end of the correspondence between Lafcadio Hearn and James D. Hearn. In the letters themselves, Lafcadio Hearn seems to have had a greater desire to visualize his mother than to seek the comradeship of a brother. The remote and inaccessible seemed always to be nearest his heart.